Don’t put your summer tomatoes up yet! You have to try this recipe. It seems so simple (okay, it IS so simple), but it’s one of my new favorite things! 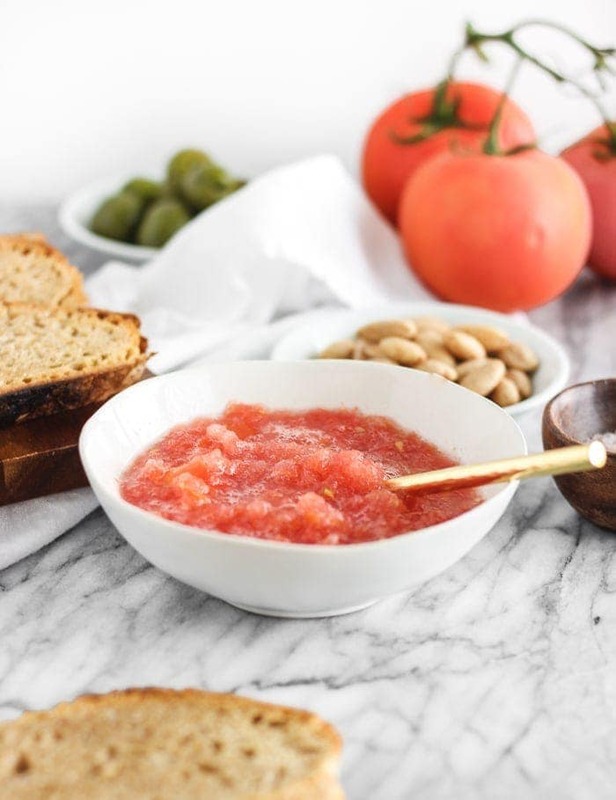 I never would have thought to grate a tomato, since sliced fresh tomatoes are so yummy in the summer, but grating it gives the tomato a whole new texture and flavor. It’s so fresh and delicious, especially with a sprinkle of coarse sea salt. 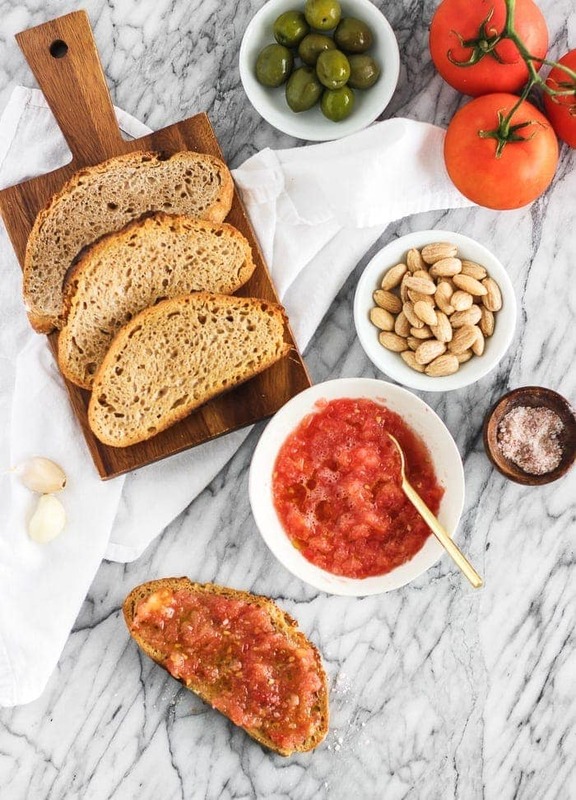 This recipe for pan con tomate, which peans “bread with tomatoes,” came from my cousin‘s wife, who is from Spain. This is a traditional breakfast food for her and her family in Spain. Ever since she shared it with our family, we have all been hooked! And it only takes a few minutes to make, so you have no reason not to try it! 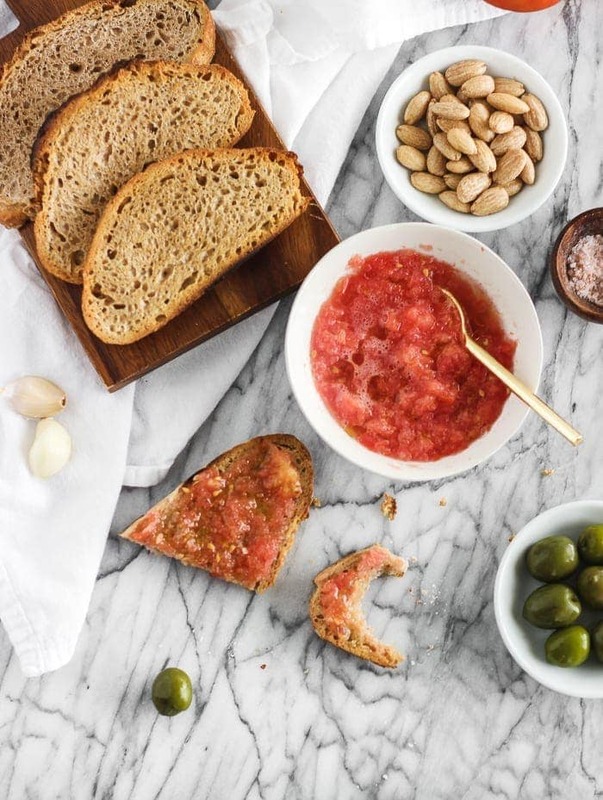 The key is to find really fresh, ripe tomatoes and use quality oil and bread. The ingredients definitely make or break a recipe with very few ingredients like this. 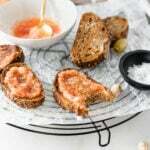 My family has started making this yummy toast for a snack or appetizer, but recently my husband and I have made it for brunch with some poached eggs. It was fantastic! Seriously. It’s so good. So go out and get some fresh tomatoes before they are gone and make some pan con tomate. You can thank me later. Cut garlic in half and rub one side of the toast. Grate the tomato with a large-holed cheese grater into a medium bowl. 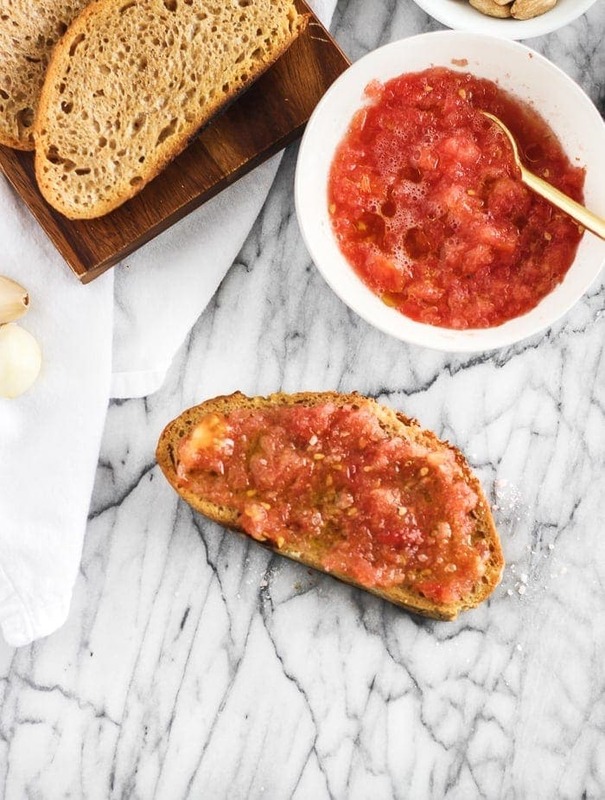 Spoon tomato over toast. Drizzle each toast with olive oil and sprinkle with salt. Cut each piece in half and enjoy!